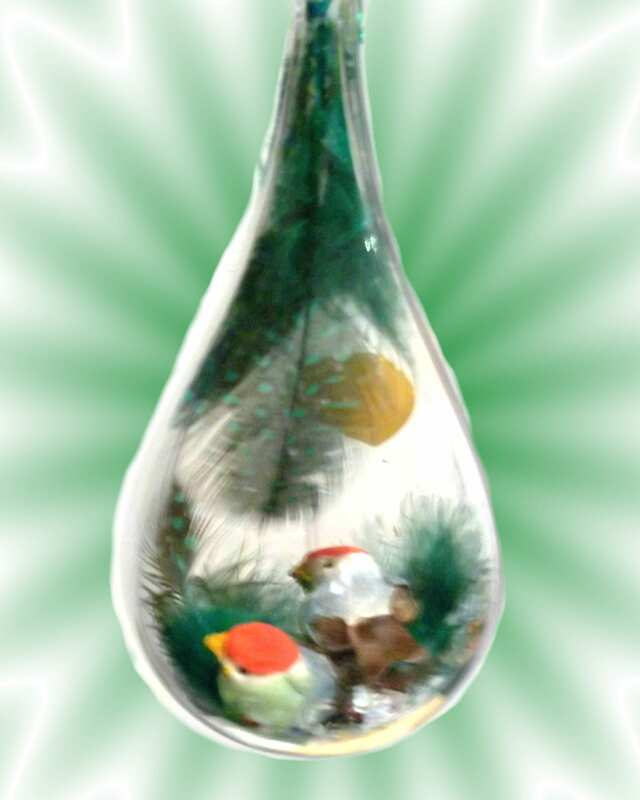 Encased in a clear acrylic teardrop shaped casing are two little birds and decorative feathers. Hang anywhere in your home., christmas tree, or even your car mirror. One of a kind. Each ornament is created with it's own unique style.